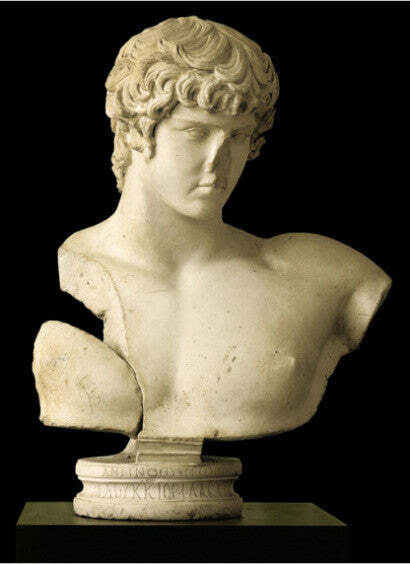 A marble portrait bust of Antinous (c111-130 AD), a member of the entourage of the Roman Emperor Hadrian, was the star lot at Sotheby's sale in New York this Tuesday (December 7). Antinous, who is believed to drowned in the Nile, was a beloved companion of the emperor and later deified after this death. Rumour has it that Hadrian had the empire searched for the most beautiful youth, and chose Antinous who then joined him. Whether his death was the result of accident, suicide, murder or (voluntary) religious sacrifice remains unknown; although evidence points towards the latter. This bust, dated to circa AD 130-138, is the only known Classical representation of Antinous outside of his coin portraits to be identified by an inscription. Unsurprisingly, it emerged as the leading lot at Sotheby's sale of Antiquities from the Collection of the Late Clarence Day. Day's antiquities collection is regarded as one of the finest in the United States. In the end, the bust sold for several times its high estimate ($2-3m) to bring a final price of $23,826,500.